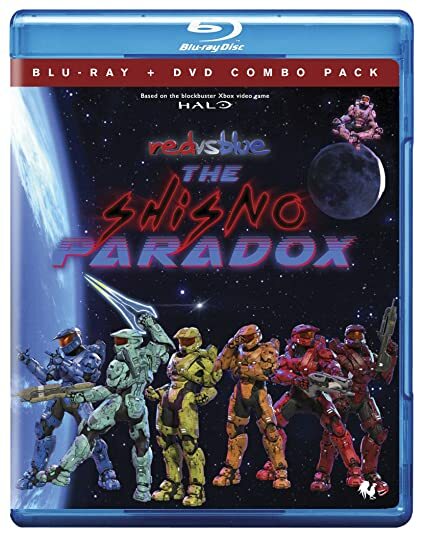 Red vs. Blue: The Shisno Paradox - BUY ON BLU-RAY! A simple trip out for pizza ends with the Reds and Blues scattered and lost in time. Their ridiculous adventures in history inadvertently make them pawns in a war between Gods and Titans, which has been raging since before the dawn of time. THEN SEND IN YOUR NAME, ADDRESS AND 5 COMMENTS TO contests@efilmcritic.com. Put "TEAM BLUE! NO MODDING!" in the subject line and cross your fingers. We will draw names and you could receive a copy.. Only 1 entry per household.